There is no doubt in my mind that the most ancient of civilizations occurred in Russia/Siberia/Mongolia region. And, from looking at just some of the finds in Russia, it is quite remarkable and hard to ignore that perhaps as much as millions of years ago, there were civilizations way ahead of ours. The traces over the millions of years are harder to come across, but when we do, wow! 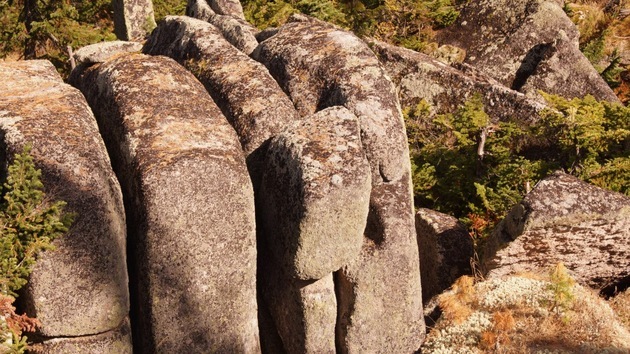 From unsolved mysterious events to odd formation, megaliths and amazing technology before its time, Russia has a LOT to offer the ancient knowledge geeks. Akraim: There are perhaps 5000 stone circles around the world. One has to wonder about prehistoric man traveling the world to build stone monuments and yet they are obviously shared knowledge. How was this possible? My proposal is the ancient ones - the giants- the "Originators" as I like to call them. When we ask, "how could ancient man do this?" we need to answer that with a definitive, "because homo sapiens did not have this technology, it was not ours." "Akraim" find (above) is in the Southern Urals of Russia. It was built 4000 to 5000 years, around the same time as Stonehenge. 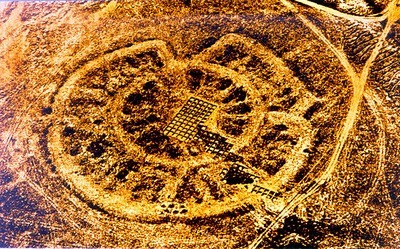 Source: It may seem obvious to some, but the fact that these sites were apparently constructed, deliberately, to act as astronomical observatories and even calendars of a sort, before the same expertise was achieved in the great foundational empires of antiquity, like the Egyptians and the Greeks, is seemingly strong evidence for attributing greater development and sophistication to these pre-historic cultures. 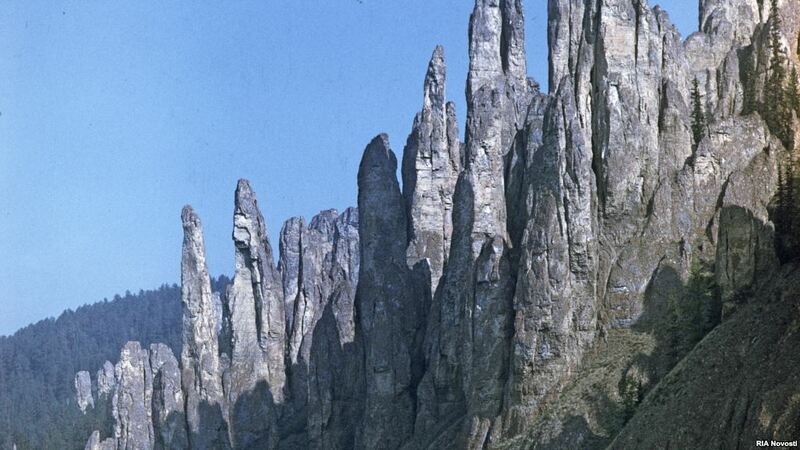 Manpupunar: 7 enormous pillars of supposed natural formation in the Ural Mountains. The 7 pillars of Manpupunor in the same region - Ural Mountains, are considered one of the 7 wonders of Russia. 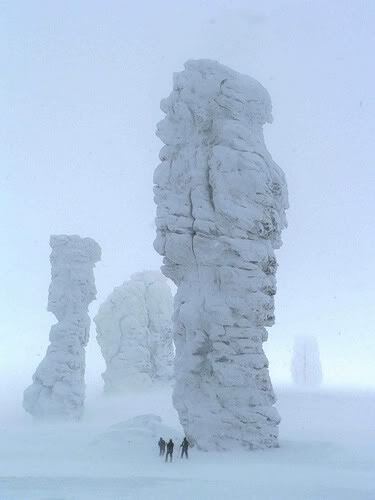 The Manpupunor pillars are believed to be a natural formation of nature like these other ones in Russia - above.They are said to be formed by ice and wind. 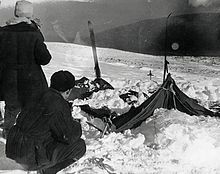 Dyatlov Pass: In 1959, hikers took off together in the Ural Mountains and went missing. 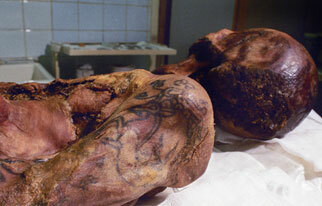 When their bodies were found after a search, they were found in odd ways, such as having their bones broken with no external injuries, tongue missing, and bare naked. The mystery has been looked at over and over with different theories. A stone slab measuring 1.5 meters by one meter and over 20 cm in thickness was brought to scientists at Bashkir state university, headed by the rector, Professor, Doctor of Physical and Mathematical Sciences Alexander Nikolayevich Chuvyrov. They obtained in 1999 a three-layer plate, which, according to Chuvyrov, was made by artificial means. The first layer of 18 centimeters is cement or ceramic on the basis of dolomite. The second layer of about an inch - enriched with silicon, to give a picture strength. Microhardness of slightly less than that of corundum. Third porcelain layer several millimeters. Perhaps, in order to create diffused light, to illuminate the card. It is noted that at the plate allegedly plotted map showing the location of Ufa elevated to the modern city Meleuz. This image is a relief, according to modern concepts, you can get it from cosmic heights. It is alleged that on the map Dashka stone marked waterworks system and channel length of 15,000 kilometers, dams, 12 dams up to a mile wide and powerful water intakes. Rhomboid are designated areas - they were far from the channels. According Chuvyrova - so runways. According Chuvyrova: those who then lived and built, either flew or used the water route, since no roads are on the map. The map also has numerous inscriptions. It is believed that this hieroglyphic-syllabic language of unknown origin. 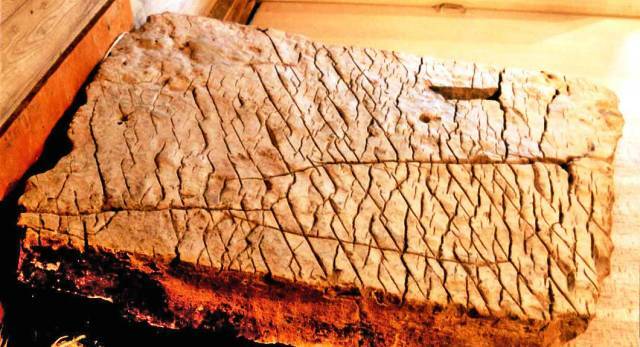 What the inscriptions say is currently unclear.Some researchers claim that the stone is not artificial, but a purely natural origin, and the system of cracks has nothing to do with the scheme of the rivers of Bashkortostan. A layer of one mineral over another is not something surprising. There are stones, for example, with a layer of quartz on top. There are also "Moonstone" and "solar stone" with the same system of cracks. The constancy of angles proves just natural, pure crystallographic effect. Alexander Chuvyrov calls the age of plate about 50 million years old, but this dating is based on conventional geologic column. He thought that the plate may be ofextraterrestrial origin. At present, extensive research is conducted on the Dashka stone at the Bashkirskiy State University and Moscow State University. 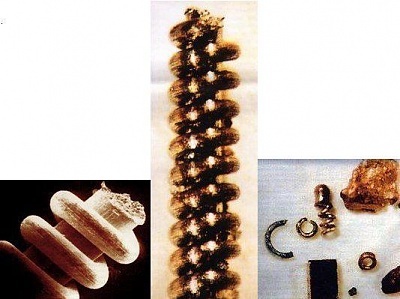 Tiny Spirals: In the Eastern Urals near a river called Narada, they found 20,000-year-old tiny spirals made of copper, tungsten, and molybdenum. They are very tiny, about 1.2 inches to 1/10,000th of an inch. They are estimated to be between 20,000 years and 318,000 years old. Gear dating 300,000,000 years? 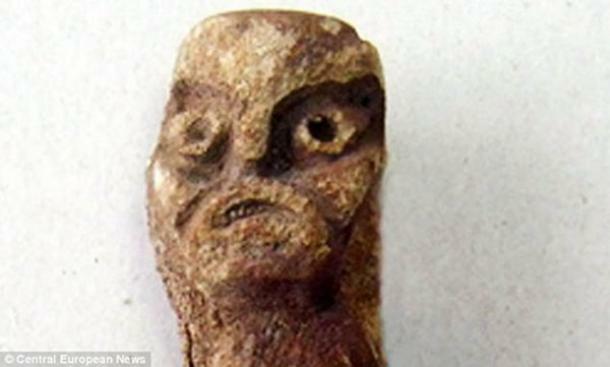 In Southern Siberia in the Khakasis region, a truly shocking find was made. 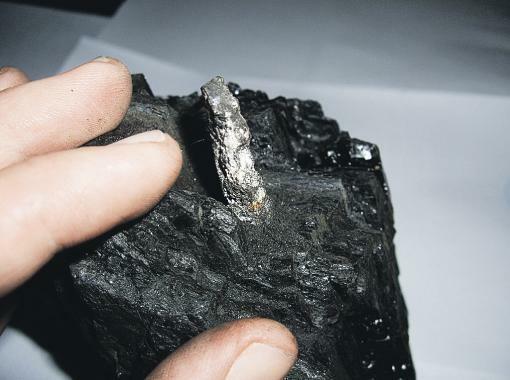 In a coal mine, a gear shift was found inside some coal, suggesting the gear is as old as the coal that formed. It was found to be made of 98% aluminum and 2% magnesium, implicating that the object was artificially made. 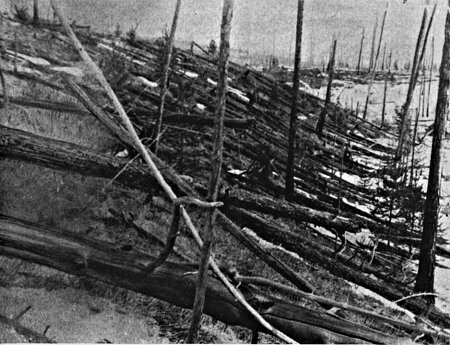 Tunguska: In the Siberia region in 1908, an explosion that was felt 40 miles out from ground zero. 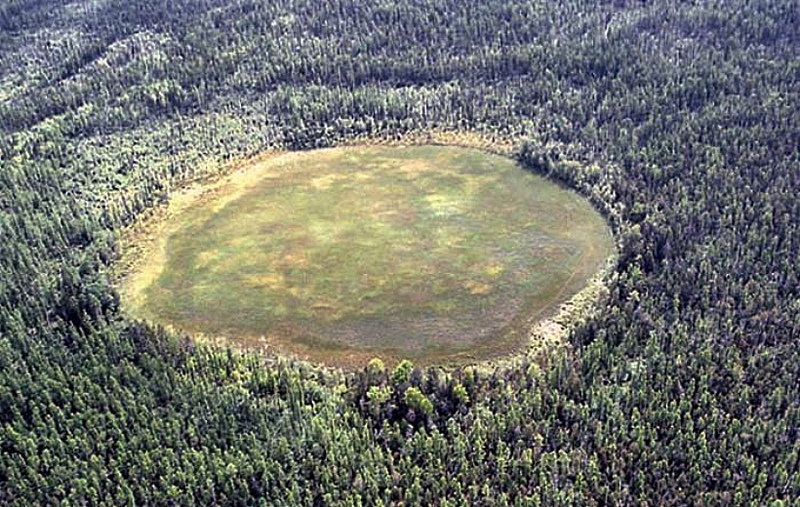 In the end, it was estimated 800 square miles of forest were obliterate by what is believed to be a space rock detonating in the sky above the forest, therefore no impact crater was found. Almas (singular)/Almases/Almasty (plural): The Russian version of the Sasquatch is reported most often in the southern portion of Mongolia. They are not reported as tall as our Sasquatch, measuring in around five and six and a half feet tall. They are reported by witnesses a being covered in reddish brown hair and living in a feral state in the forests. Their reported pronounced brow ridges have been compared with Neanderthals. Angry ancient figurine: A fisherman hauled in this 12-inch tall figurine dating 4000 years old. It was fossilized and believed to have been a figure of a pagan god found in a region known for ancient finds. Giant stone megalith: It is believed this site might date back more than a hundred thousand years ago! Scientists are playing it safe by saying it could be an ancient structure by some civilization with advanced knowledge or it was done by nature. Duh! Researchers did come to believe it might be an ancient powerhouse because of the way it was constructed, vertical plates of the capacitor blocked by horizontal blocks. 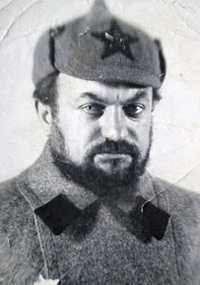 Genrikh Ludvig: In the 1930s, this Russian inventor and designer of military technology, was perhaps the most enlightened man of his entire generation, perhaps even ours. He spoke 20 languages fluently, including ancient ones. He told his students of the Vatican's knowledge of extraterrestrials, told of an ancient fiery pillar that killed off the ancient civilization, that the pyramids were energy machines, and was fascinated with the Sumerians and the Etruscan civilization. He died in 1973, and hopefully many of his notes will be reviewed and released. Siberian Ice Maiden "Altay Princess": From 5th century BC, this mummified lady was found in a subterranean burial chamber. This tomb was on the border of China. She was buried with food and with her horses, facing east. Her skin still showed tattoos of deer shapes. She was buried in a beautiful gown and leggings and a 3-foot tall headdress, a fur, a mirror, and deer figurines. Interestingly, DNA testing proved her to not be of Asian descent as the Altai's in the area. For now, they are just calling her Samoyed, of Russian indigenous descent, but still no one has said if her DNA matches that potential lineage. 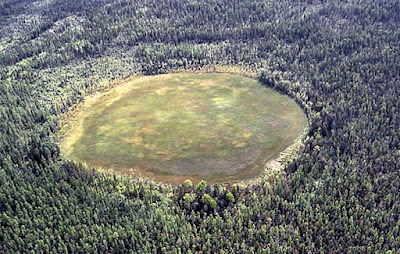 Devil's Cemetery: The area where Tunguska (the infamous ground zero of a meteor event 100+ years ago), has a meadow where nothing grows called "The Devil's Cemetery." (LINK) There is a meadow called “Devil’s Cemetery” not far from the village of Kova in the Krasnoyarsk region of Russia. The meadow is covered with remnants of birds and animals that for some reason do not decompose. Vegetation on the meadow is rather scarce, tree branches are charred, animals do not live here, and people who happen to come to the meadow develop headaches and unexplainable anxiety. They say that ruinous energy of the place has something to do with the fall of the Tunguska meteorite. I hope I've given your curious minds just enough taste of Russia's truly amazing ancient origins. We spend a great deal of focus on the pyramids, but if you look at ancient man, i.e. Neanderthal and Denisovans, we find that man was well and truly settled in this region long before we arrived to the continent. This may be the cradle of Europe's civilization.